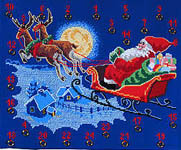 A attractive advent calendar with three windows of Santa and his sleigh - hang it with sweets or small toys to make the wait for Christmas Day even more exciting. 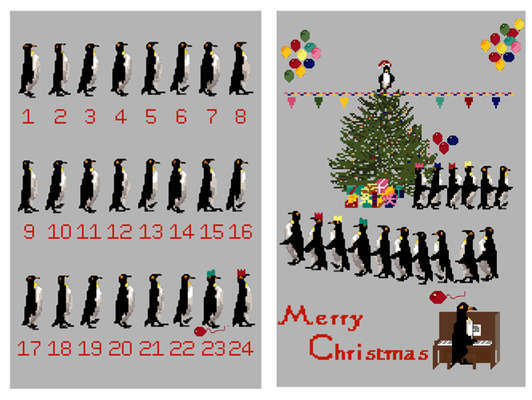 The kit has large scale black and white charts printed 10 stitches to two centimetres on three A3 sheets. The pattern is worked in cross stitch and backstitch using 25 shades of stranded cottons over 130 by 490 stitches. 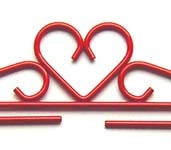 The red heart hangers illustrated are not included but are available from our Supplies and Accessories Section.